When I encountered science fiction, it was probably the best time to “meet it”. As a teenager, I’d spent a few years reading through Jules Verne and James Gunn’s “The Road to Science Fiction” Anthologies that were, at the time, far beyond my age and understanding, and of course, “Kehuan Shijie”, which was food for my soul. The wave of sci-fi publications during the late 90s, from original to translated works, provided plenty to fire the imagination and fantasies and fill my entire youthful mind. These influences did not change my life’s path in the short term. Unlike those precocious early developers who ventured into creativity, and became well known sci-fi writers by their university days, my goal was to be able to read ever more interesting sci-fi stories. It’s something that still gives me extreme satisfaction. As for my own creative path, there were obstacles. I was far more interested in trying to understand, and imagine all the possibilities other authors offered in their writing. Of course, I got to know some authors, fans, and qianbei within the industry. At the time I was just curious, I wanted to try and understand the concepts and thoughts behind their writing, and in the process gain some approval and encouragement. This conscious hobby continued beyond university, and during the few years after graduation, my involvement had reached as far as the field of criticism and analysis. I started to write a lot of papers on current works and themes, which brought me closer to the sci-fi research scene, where I absorbed the fruits of their research and ways of thinking. I began writing my own viewpoints on specifics works. It was from this point, about a decade ago, that I began to develop my own understanding and views on Chinese sci-fi, which have eventually led me to my place within the industry today. 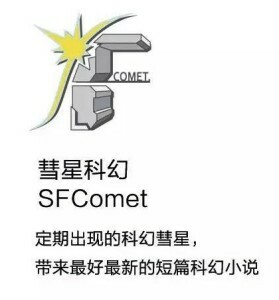 August last year, the SFComet project completed its first year in existence. This trial period enabled me to see many possibilities and validated some of my views. 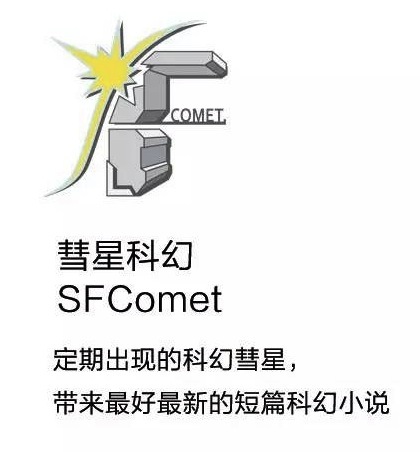 To put it simply, the most important achievement of SFComet so far, has been to strengthen my belief that Chinese sci-fi needs stimulation, and that it’s possible to provide structure for this. For example, by naming a theme that sets a field in which the imagination can create. Secondly, the project proved to me that, good work, removed from the halo of authorship and publisher, can still win the merit it deserves. This, without a doubt, has been proven by the readers I have been able to attract. For example, the popularity of Deborah Walker’s excellent “Pure and Without Savour”, a piece in our current competition that has received over half of the total votes, has shown to me that without the influence of the author’s reputation, the readers’ choices and my own judgment were able to find a clear point of resonance. It illustrates that, science fiction works share some essential commonalities, which I have sought to bring out. After vast quantities of reading and thinking, I think Chinese sci-fi is facing the deepest of crises, a crisis that didn’t just happen today, but stemmed from a seed sown at its birth. Paradoxically, it is also because of this seed, that the genre has been able to keep its vibrancy for so long, reviving during different eras in widely different ways. The root of this crisis, comes from the intrinsic nature of the Genre as a Meme, it is information disseminated through the combination of technology and human civilization. Consider the concept of the Technological Singularity, where Technology evolves more quickly than our understanding of it. This sort of exponential development seems to have been our approach to technology since the Industrial Revolution, replacing ideas like population growth and division of gain. During this acceleration, thinkers expressed their thoughts on the concept of “change” through one of the most natural of ways, story. The result was science fiction. From Mary Shelley to Wells, from Asimov to Heinlein to “The Martian”. From Clarke to Doctor Who. From space operas to anime. All of these were expressing the same emotions and thoughts about change. Nobody can avoid change, and nobody can predict it. Yet in modern times, this technological evolution is a major driving force, but it has led to the decline of creative science fiction. Because all the fields at the frontiers of changing the world are becoming more and more professionalized, with narrower and narrower divisions. To be an author with encyclopedic knowledge of the changing face of science, as Bohr and Asimov were, is no longer possible. The authors of today tend to want to express specific emotions, or use classic works as a basis for reinvention. Very few people are able to open new possibilities, to establish a new ways of thinking. This is because the authors’ understanding of possibilities, are now developing at a rate slower than that at which reality is actually changing. Very often, before the book is even published, the story ceases to be “futuristic”. Of course, expressions of feelings and reinterpretations can both produce good work, but the core value of science fiction is to express humanity’s thoughts about the future, not the past. If we cannot grasp the future, we cannot imagine or describe it. Science fiction would be facing the challenge of death. Since founding my SFComet project, I have started up a company called “The Future Affairs Administration” (FAA), in order to try and solve this problem with a group of Chinese sci-fi writers, fans, critics and researchers. This would hopefully at least help Chinese readers and writers learn about, and understand, the changes in the world around them. To help them understand the process of creating a mature science fiction story, to help to enhance their imagination, and unlock their power to build future worlds. We think that to be a mere publishing platform, providing fair opportunities, can only solve a small part of the problem Science Fiction is facing. What is more significant, is to provide writers with subject matters, structured stimulation, and reward. This is what I’m doing at the moment, and what I hope to share with the world. “科幻世界 Science Fiction World”, founded in 1979, China’s largest magazine of the genre. 前辈, term of respect used to refer to those senior in age, from generations before one’s own, similar to the much better known Japanese “senpai”.